Bison (black and white) is about 2 yrs old and is one of 6 cats that we took from a large colony that another rescue was dealing with. He is a nice boy who is now beginning to trust us. Bison has formed a real bond with Len – they just love each other. 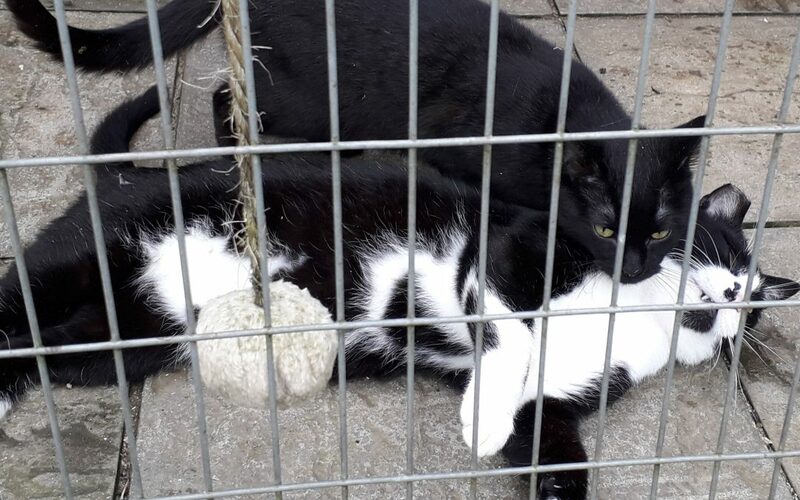 We are looking to rehome them together as we cannot bear to part them. They are looking for a quiet home with no young children.